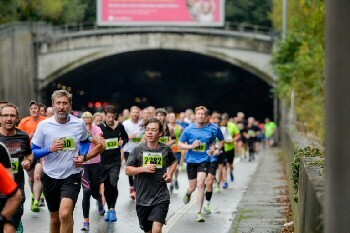 MORE than 2,000 runners took on the annual race challenge of running through the Mersey Tunnel, on Sunday, 1 October 2017. 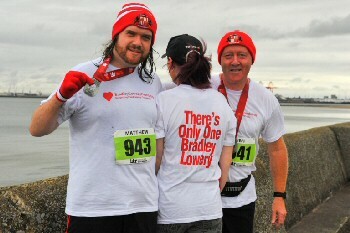 This was the 12th Annual BTR Mersey Tunnel 10K, which included runners travelling from Germany and Poland, to take part. 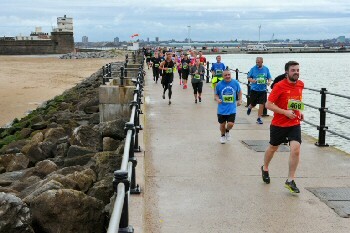 The race takes runners from Blackstock Street in Liverpool, through the Kingsway Tunnel, onto the Seacombe waterfront and along to New Brighton. 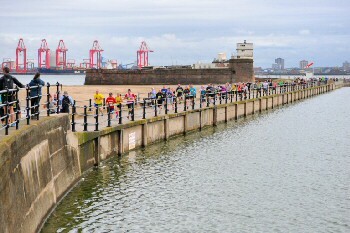 After taking in Fort Perch Rock and the Marine Lake, participants completed the race with a grand stand finish along Ian Fraser Walk at New Brighton. The BTR Mersey Tunnel 10K usually takes place in June, but this year (2017) the event date was moved to Autumn, due to the rail placement works taking pace across the Wirral train network earlier this year. 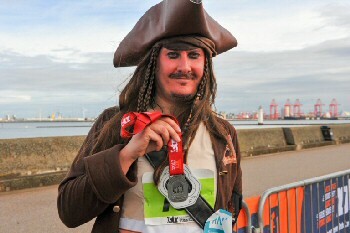 This year's race was won by Ian Lawton from Mersey Tri with a time of 33:30. In second place was Dan Morgan in 34:54, with Ciaran Gavin from West 4 Harriers taking third place in 36 minutes 10 seconds. Taking the female honours was Kirsty Longley from Liverpool Pembroke Sefton Harriers with a time of 36:49; setting a new female course record. After the course was slightly revised in 2014, a new female course time of 37:58 was recorded by Rachael Burns from Liverpool Harriers. The following year, the exact same time was again recorded; this time by this year's female winner Kirsty Longley. This new course time has seen Kirsty take 69 seconds off the previous record. 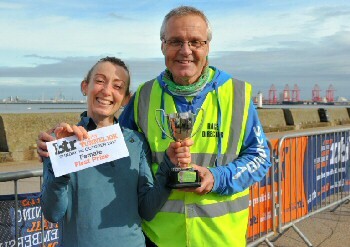 Kirsty also took 1st female place in last month's BTR Wirral 10K. Second place female was Phillipa Williams from Bristol University Cross Country in 38:24, followed by Carmel Triggs with a time of 39 minutes 39 seconds. This was another podium finish for Carmel, who took top honours as 1st female in last month's BTR Whistle Stop Tour Of Wirral; 3 races held over 3 days in Arrowe Park, Thurstaston and Wirral Half Marathon, a total of 26 miles. The official event charity of the BTR Mersey Tunnel 10K was Claire House Children's Hospice , which has bases in Wirral and Liverpool. 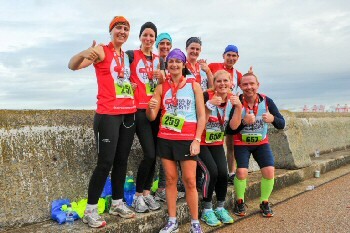 The race is organised and delivered by Hoylake based race organisers BTR Liverpool, whose portfolio also includes the Wirral Half Marathon and 10K; Liverpool Santa Dash; Port Sunlight 10K and 5K; Tour Of Merseyside; and the Liverpool Half Marathon which has its milestone 25th Anniversary, on 25 March 2018. 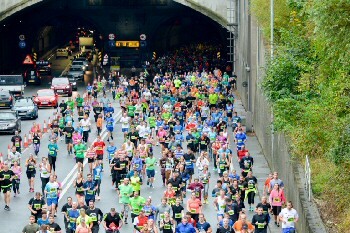 The Mersey Tunnel 10K was brought back in 2006 at the request of the Mersey Tunnels with BTR taking on the mantle. 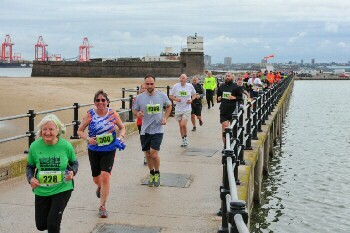 It continues to be 1 of the most unique events in the race calendar; being the only time runners can actually run underneath the River Mersey. ► Dorothy Fairhurst, aged 75 from St Helens, finished in 1:05:22. ► Leslie Holmes, aged 76 from Liverpool, finished in 1:12. 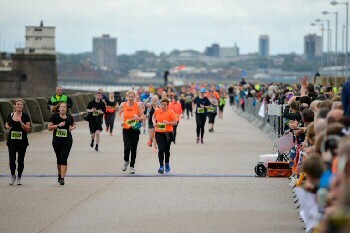 ► Ronnie Jones, aged 80 from Wirral, finished in 1:11:22. ► Eddie Naisby, aged 89 from Ruthin Wales, in 1:17:16. Running clubs from across the North West were well represented, including Bramhall Runners, BTR Road Runners, Kirkby Milers, Knowsley Harriers, Liverpool Running Club, Penny Lane Striders, Wallasey AC, and Warrington RC. 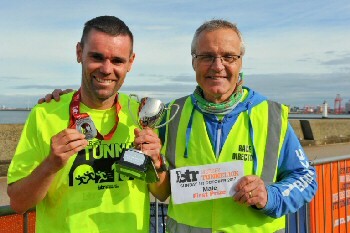 Runners included Wirral's very own running man John Hammond, from Oxton, who began his challenge of running 31 marathons in 31 days; who kick started with the BTR Mersey Tunnel 10K. This is all part of John's training for the Marathon Des Sables race in the Sahara Desert in April next year. John is fundraising for Scope. 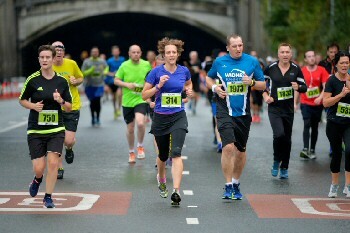 BTR Liverpool Race Director Alan Rothwell commented:- "Well done to everyone who took on the challenge of running through the Mersey Tunnel; its 12th consecutive year. 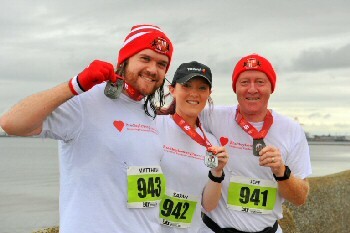 We had an excellent turn out of more than 2,000 runners, and we were extremely fortunate with the weather conditions. Congratulations to Kirsty Longley on setting a new female course record, excellent running and well done. Thank you to the spectators who came out to cheer on the runners. And special mention to our race day volunteers from Claire House Children's Hospice and Everton in the Community, who did a fantastic job giving out medals, T-shirts and goody bags. Their hard work, support and encouragement goes a very long way and is massively appreciated." Next in the BTR portfolio is the 14th Annual Liverpool Santa Dash, that will be held on 3 December 2017.